Valley CiDS (Christians Involved in Developing Society) is an independent Christian charity based in Derbyshire, committed to serving children, young people and families through out-reach work in schools and the wider community. 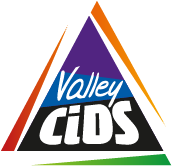 Valley CiDS was launched in 2000 by a group of Christians with a passion to serve, inspire and equip children, young people and families to develop their full potential in society today. Valley CiDS lead assemblies and Collective Worship throughout the year, and run the 'Discovery Zone' club weekly here in school. Discovery Zone is a Christian after-school club. It aims to teach children about Jesus and the Christian faith in fun ways through quizzes, games, crafts, stories, films, drama, music and much more. Discovery Zone meets in the Upper Hall every Monday during term time and is for children from Year 1 to Year 6. Click the PDF file below for more information, and a form to complete if you would like your child to take part. The form can be returned to school.